This module will give the customers the ability to use domains they have already purchased. For example, the client first orders a domain name only and then comes back at a later date and wants to order a hosting service and use the same domain name they already have on their account. 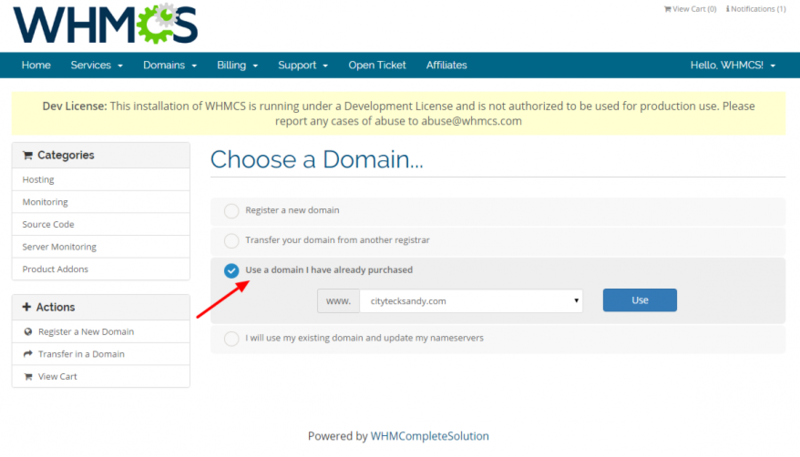 With WHMCS, it will not be easy to do that but with this module, WHMCS Existing Domains, you can easily do it. What a fantastic add on. It solves teh issue that customers have when they want to use a domain that they already bought. Excellent support also. Best tool for domains management. Worth the small price! This module is very useful for managing high number of domain registrations, which lack hosting services. It is also helpful to distinguish the domains for which hosting services could still be sold.